Welcome to The Xtreme Minute. 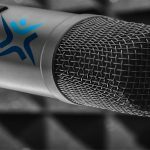 This week our TechGenix Xtreme podcast is a bit different as Louise Chalupiak and Peter King reflect upon 2018 and the most viewed stories on TechGenix. It seems that many of us were quite interested in technology as a career choice in 2018 as three out of 10 of the most viewed articles were about just that. This trend began late in 2017 as Benjamin Roussey published an article titled, Five super-cool IT jobs: Get ‘em while they’re hot. In July, Rahul Sharma entered with an article titled, Want to know which IT jobs are on the highway to extinction? Read on. Benjamin Roussey then followed up with his second article on this subject titled, Five top-paying IT jobs in 2018. The second trend we noticed in 2018 was the need to stay connected. Lavanya Rathnam tops the list with three of the top read articles in 2018 offering instructional advice on how to deal with some of those irritating roadblocks. In March we saw Blue screen blues: How to fix kernel security check failure and How to fix the ‘No Internet, secured’ connection error, followed in April by Oh no! ‘Wi-Fi connected but no Internet’ – What to do. Nirmal Sharma was also part of this trend with his article titled, Need to reset users’ Active Directory passwords? Here are several ways to do it. PowerShell continued to be a topic of interest for our readers in 2018 with two of the top 10. Brien Posey kicked off the year in January with PowerShell errors: Dealing with 'term is not recognized as the name of a cmdlet'. In May, Nirmal Sharma educated us further with Understanding PowerShell foreach loop and foreach-object. Finally, we cannot deny that we all need to feed our inner geek. In January, Mitch Tulloch satisfied this need with his article titled, Get your geek on: Building a VMware home lab. Happy New Year to all our readers! Click here to join the TechGenix newsletter and keep on top of the technology changes and challenges that we will all undoubtedly encounter throughout the year.